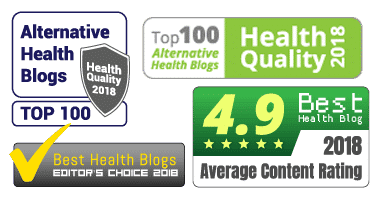 Medically reviewed by Emina Ribic (MD) on March 28, 2019. Written by Linda White (MD). As Zilactin Early Relief Cold Sore Gel is specially formulated to fight off the painful and embarrassing symptoms of a cold sore quickly. It’s best to use it at the earliest sign of a blister. When you have a painful blister, finding relief is a priority. Cold sores can distract us from our everyday lives with itching and burning. Zilactin Cold Sore Gel not only provides relief right away but allows you to be pain-free for up to six hours with one application. 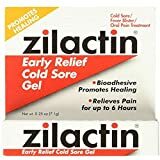 Zilactin’s unique formula ensures that the medication needed to heal the cold sore symptoms will have time to penetrate into the blister fully. Not only will this alleviate pain and irritation, but it can help the sore to heal faster. It doesn’t just work well for cold sores. Zilactin Cold Sore Gel can help to treat canker sores, mouth sores, and even gum irritation. If you’re experiencing pain in or around your mouth due to any sore, this is a quick and easy solution that can provide relief. Zilactin may be getting more popular, but does it work as well as Abreva cream? This article will cover how the gel works, and what you can expect when you use it. We will also cover any potential drawbacks it may have, so you can make an informed decision on whether or not it’s the right solution for your next cold sore flare up. CLICK HERE to Read Customer Reviews & Checking Pricing Info on Amazon.com! The effectiveness rests in the ingredients, and how it is applied. The unique formula allows a patented bioadhesive to form over the cold sore. Not only does this give the medication a better chance to penetrate into the blister, but it keeps additional dirt and debris away. Because of this specialized adhesive, you can experience relief from painful cold sore symptoms for up to six hours at a time. So, what are the ingredients that provide that soothing sensation? These ingredients work together to form an adhesive bond over the cold sore and promote healing and pain relief. The long-lasting soothing sensation is what has made this formula so popular among users. Most people won’t experience an adverse reaction when using Zilactin. However, it’s important to be aware of all the ingredients listed. Some people may be more sensitive to things like boric acid and could experience a burning sensation. While the application may sting or burn at first, that should subside almost immediately. If it doesn’t, you should stop use immediately. If you have an allergy to any of the ingredients listed within this formula, avoid using it. If you discover an allergy after use, seek out an alternative treatment. Zilactin comes in a reusable tube. It is designed for multiple uses over the lifespan of a cold sore. While it can help to promote healing, you’ll likely have to keep using it regularly for several days for the cold sore to go away. During that time, however, the symptoms will weaken, and you won’t feel as much discomfort. Because you use the gel in the tube more than once, it’s important to avoid cross-contamination of any kind. Cold sores are highly contagious. If you apply the gel directly from the tube to the blister, the virus might spread to the tube itself. The herpes simplex virus can survive on solid inanimate objects for awhile. So, the next time you go to use the cream, you could be reintroducing the virus to your skin. Instead of squeezing the gel directly from the tube to the blister, use either your finger or a Q-Tip. Squeeze a small amount onto the Q-Tip, and gently rub it onto the affected area before throwing the swab away. If you do apply the cream with your finger, be sure to wash your hands after thoroughly. For the medicine to fully penetrate the blister, there will be a soft film over it after you apply the gel. Don’t attempt to peel off this film or pick it off. It will fade into the skin over time. Peeling it off could result in tender skin, which could lead to more irritation. While you can use Zilactin Cold Sore Gel throughout the duration of a cold sore, the best time to apply it is when you start to notice early symptoms. This could include things like tingling or itching around the affected area. If you get cold sores frequently, being able to stop them in their tracks can be extremely important. While Zilactin will help to speed up the healing time of a cold sore, it is most effective when used to alleviate the symptoms associated with an outbreak. The sooner you use it to manage those symptoms, the less severe they will be. One use of the gel will help to eliminate symptoms for up to six hours. The protective adhesive will promote overall healing. Zilactin can be used on a variety of mouth sores. However, keep in mind that cold sores are very contagious. If you use the gel for a cold sore, you must avoid cross-contaminating the gel. Because the gel works so well on eliminating painful symptoms associated with different mouth sores, they have created a similar product called Zilactin B. Zilactin B can go inside your mouth safely to help treat canker sores. However, if you’re just using a product for cold sores (which occur outside the mouth), Zilactin Early Relief is your best option. This product has become increasingly difficult to find in pharmacies and stores, despite its popularity. However, you can find it online fairly easily, and for a very fair price. Many customers compare it to Abreva, which is the most popular over-the-counter treatment for cold sores. Some people even claim it works better at providing relief. Because it contains a unique feature like a bioadhesive and works to eliminate pain quickly, the value is extremely high. It tends to be cheaper than its competitors and can work just as well, if not better, to provide soothing relief for hours. With some creams or gels, you need to apply them every hour or so continuously. Not only is that a waste of product, but it’s inconvenient. The film provided by Zilactin will make each dose last longer, meaning you can use less overall. Even though it’s a popular and practical solution, there are a few negative aspects to consider with Zilactin. Let’s take a look at some of its biggest strengths and weaknesses. While Zilactin is convenient in that you only need one application every six hours, it can also be messy and inconvenient if you have to apply it with your finger or a Q-Tip. If the biggest issue you face with a cold sore is pain and irritation, Zilactin Gel can help to keep your symptoms at bay for hours at a time. If you just want the blister to disappear faster, it may not work as well as some of its counterparts. The unique factor of this product is that it gives the medication a chance to seep into the blister from the moment you apply it. Some cold sore creams and gels can wipe off or get washed away from saliva after just a short period. The thin layer of film will protect your sore from infection while allowing the medication to do its work. If you’re able to catch a cold sore early on and don’t want to experience the pain that can sometimes go with them, Zilactin is a great solution. Use it at the first sign of symptoms, and it will help to dry up a blister quickly. It’s inexpensive, effective, and can stop the spread and growth of cold sores early on. If you’re prone to cold sores and can recognize the symptoms quickly, keeping this gel with you at all times may make your life a lot easier, and a lot less painful. Patil H, Tiwari RV, Repka MA. Hot-Melt Extrusion: from Theory to Application in Pharmaceutical Formulation. AAPS PharmSciTech. 2016;17(1):20-42. doi:10.1208/s12249-015-0360-7. Belliveau MJ, Jordan DR. Minimizing injection pain. CMAJ : Canadian Medical Association . Journal. 2012;184(15):1715. doi:10.1503/cmaj.112-2071. Szymańska E, Orłowski P, Winnicka K, et al. Multifunctional Tannic Acid/Silver Nanoparticle-Based Mucoadhesive Hydrogel for Improved Local Treatment of HSV Infection: In Vitro and In Vivo Studies. International Journal of Molecular Sciences. 2018;19(2):387. doi:10.3390/ijms19020387.